In the budding field of stem cell therapies, there is a lot of promise for new products to cure a wide range of diseases, repair damaged tissues, and even grow new organs. 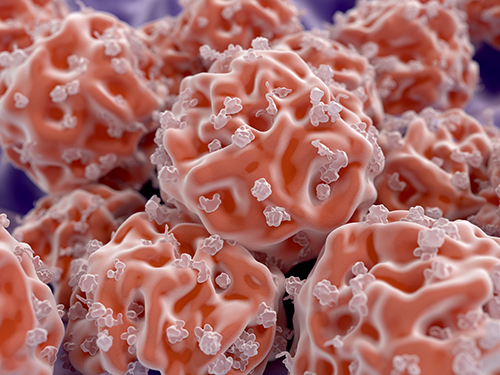 The advances stem cell therapies will bring for regenerative medicine has also spawned questions about the potential safety and use of these products, including which products need to be evaluated and shown to be efficacious prior to administration to patients. Last September, the FDA held a long­awaited public hearing that illustrates how important and urgent these questions have become. The hearing was held to discuss the concerns regarding four draft guidance documents released by the agency in 2014 and 2015. The documents, which relate to the regulation of human cells, tissues, or cellular, or tissue­based products (HCT/Ps), are intended to clarify existing FDA regulations about how to use and classify HCT/Ps for implantation, transplantation, infusion, or transfer back to the patient, and focus on autologous therapies (patient’s own cells). Representatives from over 90 organizations, including biologic product and device manufacturers, healthcare professionals, clinicians, and biomedical research groups spoke at the hearings, and a remarkable 4,000 people posted comments online. At the hearing, the common theme was to try to establish context on the content and definitions in the draft guidances, to have a consistency on expectations, and to establish a middle ground between the extremes of little-to-no regulation and the need for additional regulation to protect patient safety. The finalization of these guidance documents is encouraged by the cell therapy community so that the requirements for autologous therapies are established and stem cell interventions can be safely available to patients. Some of the safety concerns over these therapies arise from the extent of the manipulation of the cells outside the body and complications from the administration procedures back to the patient. The generation of an autologous stem cell product often involves chemical and physical manipulation of the cells that could change the cell properties during isolation and processing. The extent of manipulation can drive the amount of safety testing that would be required. There are also concerns about the quality controls incorporated in the processing of the cells, as well as the composition of the mixture since often the final product does not have defined identity or characteristics. The nonhomologous use or administration back to the patient at a site in which the cells were not derived (e.g. adipose-derived cells into the circulatory system) is also of concern, because the administered cells may function differently when in a different tissue environment from which they were intended. These clinics are required by law to meet certain standards on the preparation and safe storage of therapies, and their sites are subject to inspections. But because these clinics use stem cells derived from a patients’ own tissue, often adipose, the clinics believe they should be exempt from the agency’s rigorous approval process. Their argument is that the extracted cells are “minimally manipulated” and therefore shouldn’t be classified as drugs—subject to FDA regulation. In 2010, the FDA finalized the Guidance for Industry: Preclinical Assessment of Investigational Cellular and Gene Therapy Products that spells out the substance and scope of preclinical information needed to support clinical trials for investigational cellular therapies, gene therapies, therapeutic vaccines, xenotransplantation, and certain biologic device combination products. This guidance was the beginning of efforts to standardize approaches and requirements for these novel products and delineate the risk versus benefit of these therapies. However, the 2010 guidance was considered ambiguous concerning the classification and use of autologous therapies. In the U.S., cell therapies are legally considered both biologics and drugs. As drugs, they fall under the purview of the Food, Drug and Cosmetic Act because they mitigate, treat and prevent disease, but as biologics they also fall under the Public Health Service Act, sections 351 and 361 specifically, because they can convey infectious disease. Category 361 products are self-derived (autologous), minimally manipulated, and used in a homologous manner, and do not need an Investigational New Drug (IND) approval, just an Institutional Review Board (IRB), a testing site registration, and local (not FDA) oversight. Category 351 products are those that are more than minimally manipulated or ones that are used in a nonhomologous manner. Marketed drug products fall into this 351category. They require the complete drug development package (an IND, preclinical safety studies, clinical trials, and marketing approval) before they can be prescribed to patients. The Same Surgical Procedure Exception Draft Guidance, which spells out three criteria that a place of business, such as a doctor’s office, needs to meet for this exception, including removing and implanting the HCT/Ps in the same individual and implanting the HCT/Ps during the same surgical procedure. The Minimal Manipulation Draft Guidance, which provides specific examples of HCT/Ps that are and are not minimally manipulated. The documents are intended to clarify section 361. 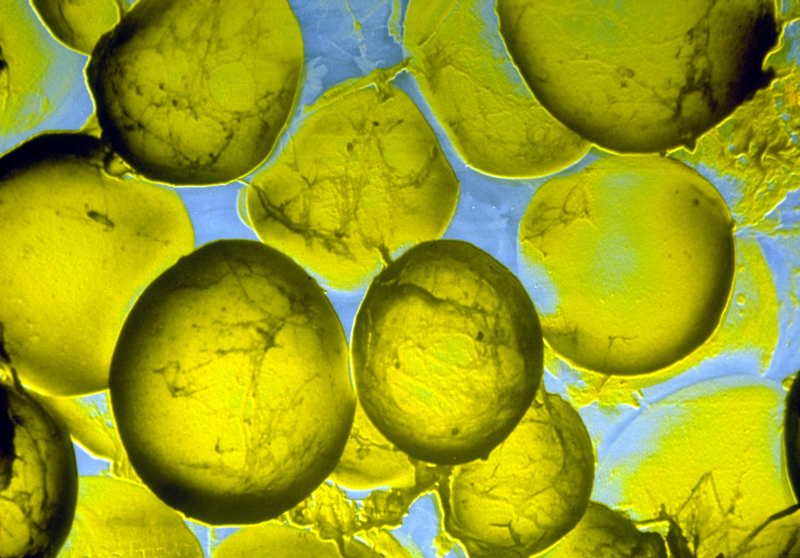 The Adipose Tissue Draft Guidance, which provides those who manufacture and use adipose tissue with recommendations for complying with the regulatory framework for HCT/Ps. The Homologous Use Draft Guidance, which provides recommendations for meeting homologous use—the repair, reconstruction, replacement or supplementation of a recipient’s cells or tissues with an HCT/P that performs the same basic function or functions in the recipient as in the donor. As a result of these clarifying guidance documents, there are now many stem cell companies working through the process of obtaining regulatory approval for their autologous stem cell interventions that are more than minimally manipulated or being used in a nonhomologous manner. Contract research organizations (CROs), such as Charles River, regularly guide these companies through the process of obtaining regulatory approval for their stem cell therapies. This approval will require product characterization and preclinical safety assessments similar to the expectations of other biologic drugs, which may include in vitro and in vivo testing. It is very possible that some of these straightforward cell administration treatments, especially for tissue pain and minor inflammation, have some level of therapeutic effect by facilitating tissue repair through release of trophic factors. In general, these transient cell exposures could be considered relatively safe because they are stimulating natural repair pathways. It is understandable why stem cell clinics would not want to go down the same regulatory pathway as cosmetic or straightforward cell treatments, because the process takes years of expensive development and testing to prove the products are safe for patient use. Cell products must be well-characterized with established production processes, detection methods, and characterization specifications before the initiation of preclinical studies, and must be the same as the product to be used in clinical trials. Strong proof of concept and efficacy studies are crucial, and the information that supports mechanism of action drives the animal model selection for the safety assessments. Early biodistribution and pilot assessments to determine duration of engraftment in an appropriate animal model can inform the duration that will be required for the toxicology studies. Toxicology and safety studies for cell-based products are customized around the specifics of that particular cell product and focus mostly on issues specific to the therapy’s properties, intended use and potential risks. Animal model selection and study designs must consider biological relevance, activity, method of delivery, dose constraints, persistence, and migration and distribution, and all must be relevant to clinical use. Specialized animal models (e.g., immunocompromised or disease models) may be required and a single animal model may be appropriate. The preclinical process for testing these stem cell products can be relatively straightforward and short-term, but ultimately the extent of testing depends on the cell product source, ex vivo manipulations, therapeutic indication, and use with other products. Even with the most stringent and detailed characterization of the cell product and understanding of mechanisms of action, adverse interactions can occur. That is why these products are assessed with a tiered, risk-based approach designed by the FDA to provide the appropriate level of oversight to protect public health. Organizations such as the California Institute for Regenerative Medicine and the International Society for Stem Cell Research have been proactive in educating academic and industry researchers alike about the challenges of bringing a product to market, including manufacturing scale-up and regulatory expectations. In fact, when considering granting funds to a promising project, the researcher’s testing, development and manufacturing plans are considered as important as the science and efficacy data driving the product itself. CROs are increasingly being used by biopharmaceutical companies for product discovery and safety testing and is a way that cell therapy developers can supplement their in-house expertise in early-stage development. The CROs have the advantage of working with many different cell-based products and program needs, and the experience to assist investigators in designing and then implementing the most effective study designs. In order to ensure there are no safety concerns with these stem cell treatments, we need to have a better understanding of the cells and their activities before they are administered to humans. Otherwise, we could be creating more health problems for patients already seeking therapies for untreated conditions. 2. Jackman, S., Learn, D., Black, L. Pharma. Cellular Therapeutics: Preclinical Safety Programmes and Study Design Considerations. Vol. 8, No. 1, Pgs. 34-36, Jan-Feb. 2012. Shawna Jackman, Ph.D., is a principal research scientist with the photobiology and cellular therapy safety group at Charles River's safety assessment site in Horsham, PA. Shawna regularly blogs for Charles River’s science blog, Eureka, and recently wrote about stem cell clinics.